WWE have been teasing these belts for months - but who should hold them if they do get introduced? It's an easy thing to forget but from 1984 to 1989, the WWF Women's Tag Team Championship was actually a real thing. The belts were fought over in matches featuring the likes of Velvet McIntyre, Judy Martin and Lelani Kai all before they were deactivated for good in 1989. 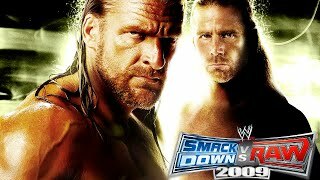 Though in wrestling everything is brought back eventually and now, almost thirty years after these titles disappeared from our screens, WWE are dropping serious hints that the belts could be making a big comeback. Several women in WWE have started to team up and form alliance, with some even forming stables as a new tag divisions seems the obvious next step in the company's "Women's Evolution". But who should hold these prestigious new belts first? The hottest feud in WWE right now doesn't need this wrinkle, but it might help take it to the next level. Rousey and Lynch, two of the biggest stars in the entire company, look set to collide in a big way in 2019, after their Survivor Series 2018 match was cancelled due to Becky's injury. The two have a nuclear feud right now, so, why not use the momentum to launch an entirely new branch of the women's division in WWE. Becky and Ronda could be forced to team up in a tournament to crown the first women's tag champs. Think Chris Benoit and Kurt Angle with the WWE Tag Team Championships back in 2002. 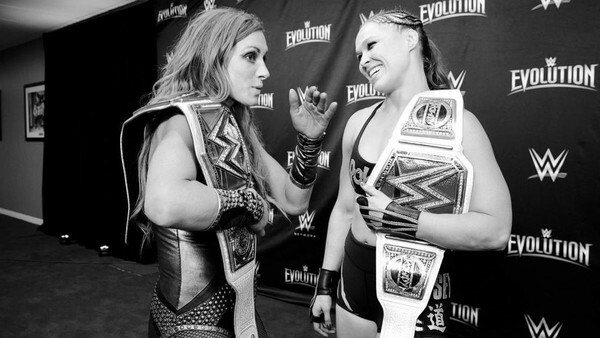 If Becky and Ronda win the belts, it would add huge credibility to the new titles, as two of the company's top stars would be the first champions. Then, the ladies could lose the belts before WrestleMania 35, hopefully through miscommunication or one walking out on the other, to further fuel their feud, which will hopefully end with Becky challenging for the Raw Women's Championship in the main event at The Grandest Stage of Them All.